This is what the Sandy Hook Bay National Marine Sanctuary will look like from the air. In essence it starts at a line between Earle Weapon Center and the northern tip of Sandy Hook and moves upstream including all the canoe navigable waters of the Shrewsbury rivers and estuaries. That expanse of water amounts to about 12,500 acres or about 20 square miles. Those of us who have fished, hunted, sailed or swam these waters know it to be compact, but also unusually varied. The variety of the NMS is one of its outstanding features. There are very few places that can provide this level of geographic, social, environmental and recreational variation in such a small area. But the above picture also has another unique feature. The Sandy Hook Bay NMS will contain a complete water ecosystem, ranging from fresh water all the way to an ocean environment. Water and Land exist together and the land that drains to a body of water forms its watershed. Anything in the watershed of a body of water affects the body of water. One of the reasons for the improvements of the water quality in the Shrewsbury rivers relates to the contained water shed of the rivers. The combination of all efforts to reduce contaminated run off to the rivers and the cleansing effects of the tidal rivers has resulted in very significant improvements in water quality. The above picture also shows the variety of the SHBNMS watershed. There are towns, water front estates, parks, clubs, industrial waterfronts, wetlands, highlands and low lands, and all of which involve people all of who love the NMS, but might think of it only in very specific ways rather than as a specific living organic whole. And it is quite alive; there are hundreds of species of animals if we just count the ones we can see with the naked eyes, including about 200,000 humans, and each and every one affects it a little differently. But the very vast majority of them really like being part of it. Even though it is fair to think of the SHBNMS as a single ecosystem, it is still part of larger ecosystems. Two of those larger ecosystems stand out. One is the Atlantic Flyway and the other is greater New York Harbor. SHBNMS occupies one of the tightest choke points of the Atlantic Flyway and that contributes to the number of species that make their appearances as the seasons change, but the SHBNMS is also of great interest to New York Harbor as a whole. SHBNMS is a very tightly contained corner of one of the largest natural harbors in the world containing one of the world's most crowded, and dynamic, population centers. 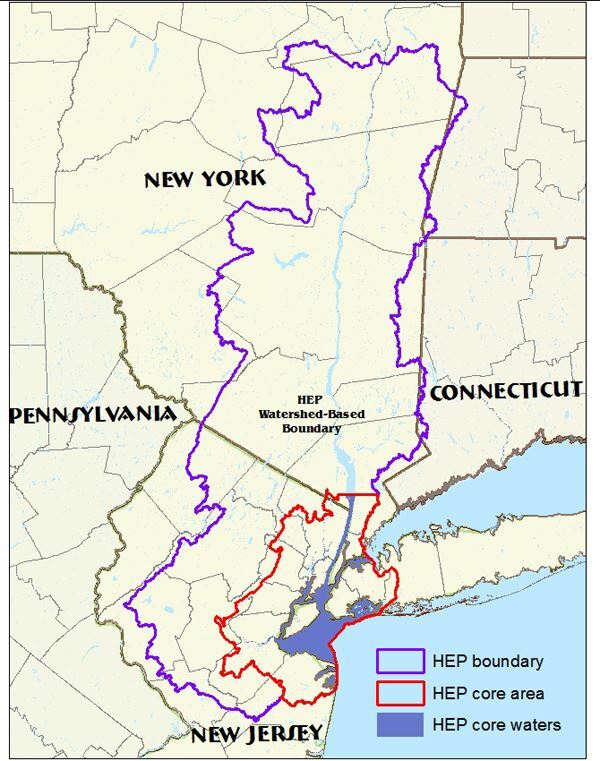 This map shows the boundary of the New York New Jersey Harbor Estuary Program. This is a much larger program that has been running since the 1990's and focuses on water quality (which is a much smaller goal than envisioned for the SHBNMS, which is more focused on integration of commerce, recreation, and the environment). In its own right, this program is quite successful, but it has not managed to connect at the community level. The Sandy Hook Bay National Marine Sanctuary is the extreme southeast corner of the greater New York New Jersey Harbor Estuary Program. The knowledge that will be gained in creating the Sandy Hook Bay National Marine Sanctuary, can be applied to further improvements in may nature interactions is the entire HEP. 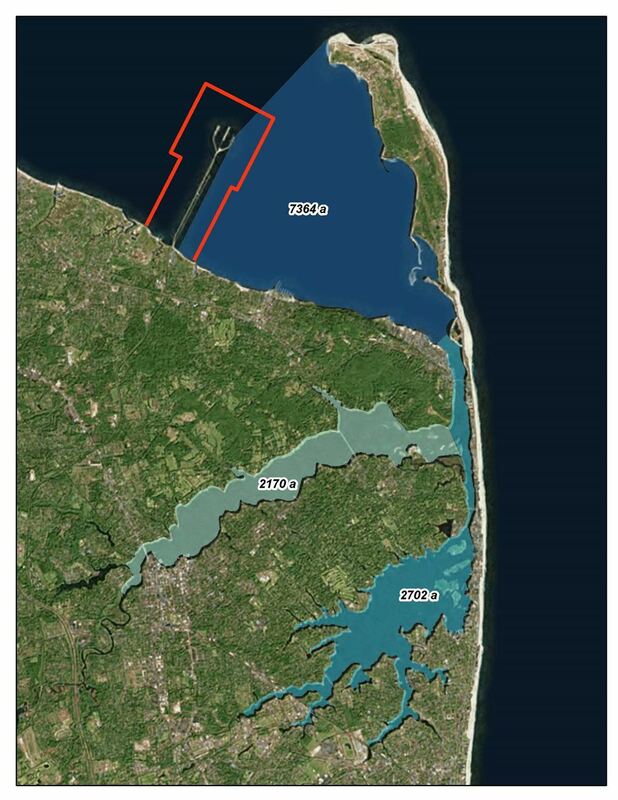 In other words, Sandy Hook Bay National Marine Sanctuary will function as the test bed for possible further regional NMS efforts.